Before the full installment of JAW’s collaborative project for Circus Company ‘MIDTOWN’, let us whet your appetites with an EP featuring a kaleidoscopic handful of teasers. Contributing artists such as Canadian renegades Art Department, Berlin DJ/producer and Bar25 Alumni Britta Arnold, Dirtybird kingpin Claude Vonstroke, Hamburg scene staple Philip Wolgast and The/Das Berlin based duo all lend their unique electronic footprints to the already unique and instantly recognisable voice and charisma of Jaw. ‘MIDTOWN’ is all about the ambitious sound of an artist reflecting every shade of the world as he sees it, through collaborations with friends from every corner of the planet and even bringing his family into the fold. From bedroom set­ups to street recordings to professional studios, spanning melancholic folk, electro pop and apocalyptic R&B, this collection is the culmination of years Jaw has spent connecting with like­minded artists, challenging himself to use his unmistakable voice in different ways and placing the emphasis on having fun, whether the music be dark and obtuse or upbeat and flamboyant. Whatever the case, twenty different recording spaces with twenty different textures have ensured that no two moments on Midtown feel the same. 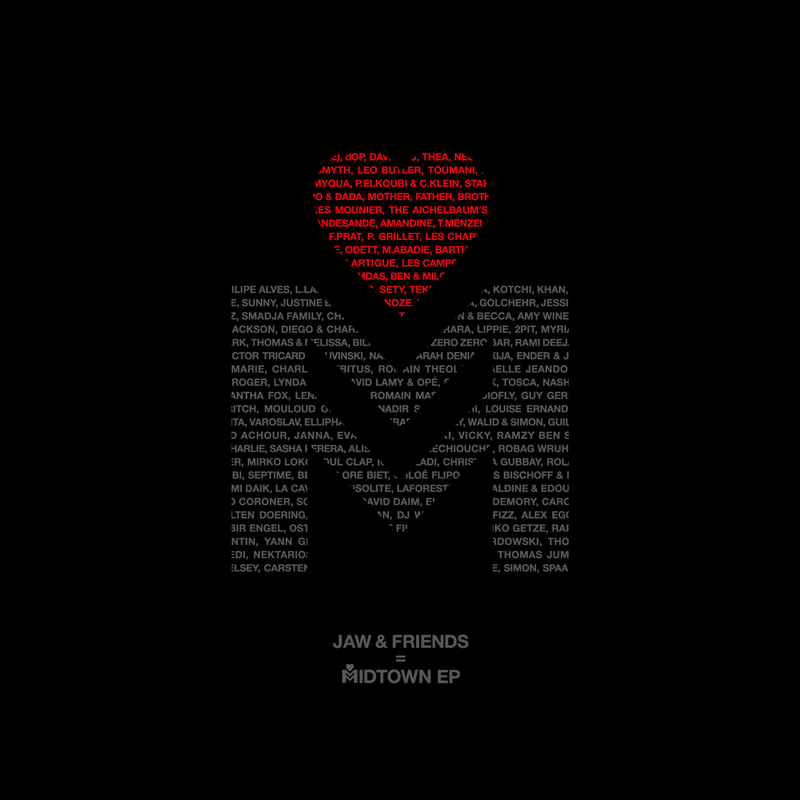 The full compilation can be expected to drop in September.You may know JAW already, you may not. An artist who has sung into the hearts of dancefloors the world over, Jaw is probably most known for his electric performances as the frontman of French house wildcards dOP and their indie­pop side­project Les Fils du Calvaire. Alongside this he has guested on massive tracks such as crossover hit ‘No Eyes’ by Claptone, Para One’s ‘When The Night’ and Claude VonStroke’s ‘Le Fantôme’, not to mention regular work with his immediate musical family in the Circus Company collective. As if he wasn’t already working with enough artists, Midtown now proves that Jaw’s muse is a spirit that just won’t quit until every corner of the world is touched by his honey­coated voice.